It is imperative that you care for your piano. Not monitoring the rooms humidity, temperature and direct sunlight with only cause the premature demise of your instrument. It is impossible to control natural atmospherics but you do have a choice on your day to day environment that your piano resides in. We suggest purchasing a hygrometer in our accessories menu, of which all our customers receive complimentary. With this you can closely monitor your rooms humidity, this is the most important element to be aware of. Either extremes of the humidity spectrum for a long period of time are harmful to your instrument as well as your health. 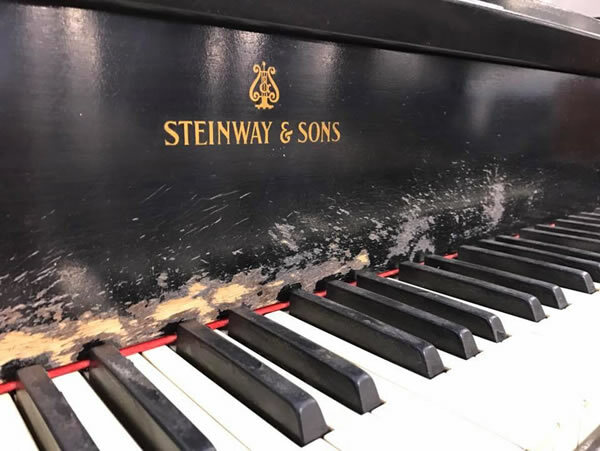 If you use the analogy of having a dry mouth all the time in your house then your piano will be dry too, the lack of humidity will have the effect of drawing the moisture from the timber, especially the Soundboard causing it to split and crack. This over a period of time will force the soundboard to a concave shape producing a non resonant board while the cracks produce harmonics and overtones. Again on the opposite end of the scale you cannot afford for you humidity to remain high for a long duration. The moisture in the air will be the foundation of the pianos action becoming sluggish or stiff. The bushing cloth in the action can take on the moisture and expand, this forces the centre pins to seize as well as the key bushings. Alongside this the strings can take on rust and the tunings pins become unstable. This can also be the factor for the voicing to become uneven across the keyboard, with strident and muffled notes appearing. Please avoid leaky sash windows, if you find you do have one that creates a lot of condensation on the glass or is very drafty, this should be attended to very quickly. We have seen pianos in front of this kind of window force a piano to become almost unplayable through stiffness. 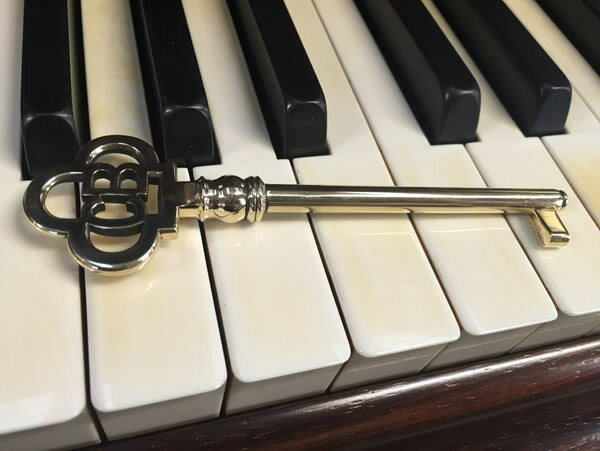 One should not become obsessed with this but a light monitoring of the situation will give you an insight to the overall condition of the piano. Avoiding continual direct sunlight will help your piano remain steadfast, so the tuning holds and the dynamic range remains wide. The direct sun will cause the piano to dry out and crack, the sun will also bleach the veneers or even the black finish. The tuning can become unstable with the core materials moving. Doing all you can to maintain a temperate condition for your instrument will help the longevity of it’s life span. So try to not let the room temperature or humidity widely fluctuate. In general, the majority of houses with modern central heating, good windows stay in a constant temperate condition. If your piano is not looked after then over time it will require extensive work to get it back to an exceptional standard.